The exhibition at the CFA includes a model of Ain's MoMA house. The model had turned up at architect Theodore "The Dean of Models" Conrad's house in New Jersey. In addition to this, F.B.I. files procured by Robbins after a Freedom of Information Act (FOIA) request are also on display. The files disclose oddly specific details on Ain, such as his weight and also his alias, Fred Grant. Despite the unearthed files, Ain's house is yet to be found. 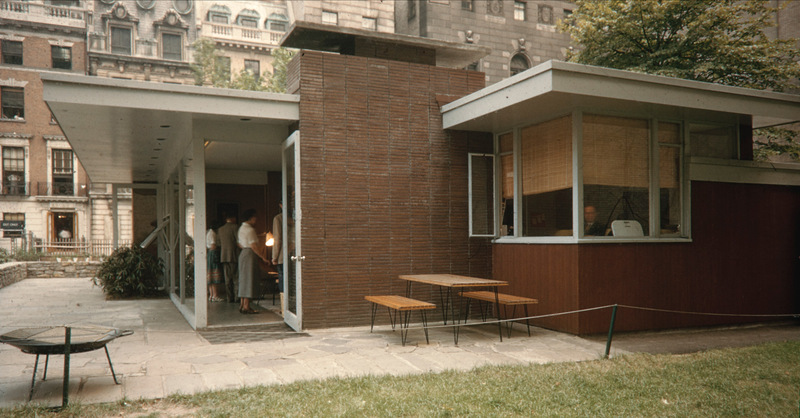 “To put all of that money into the exhibition house only to demolish it doesn’t make sense,” said Robbins. This Future Has a Past is presented in cooperation with Anyspace. The exhibition was initially intended for the 15th International Venice Biennale of Architecture but is on show at the CFA until September 12, 2017. A special talk, "Who was Gregory Ain?" is planned for September 7. More details on that can be found here. The federal government ended its decade-long search for a new FBI headquarters, leaving the law enforcement agency in the deteriorating J. Edgar Hoover Building, The Washington Post first reported yesterday. For more than ten years, the government has looked for a new building in either Maryland or Virginia as a replacement for the current 43-year-old Brutalist Hoover Building (the building that everybody loves to hate). 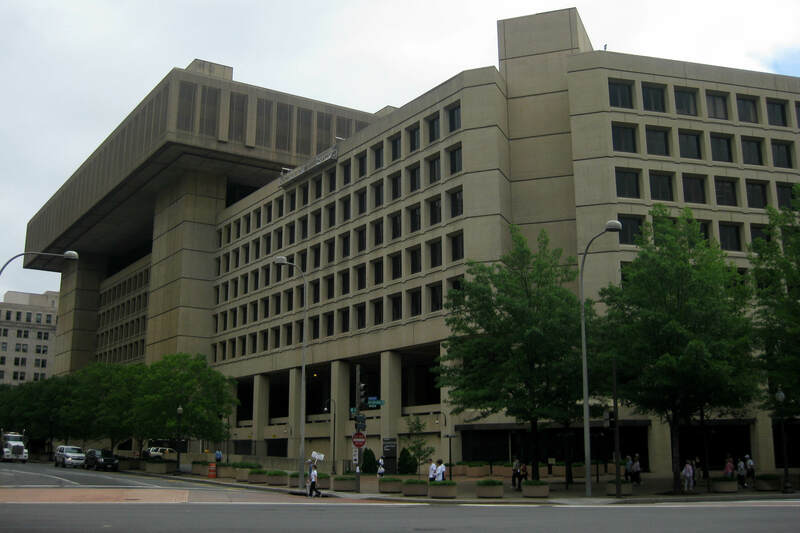 According to The New York Times, the building can house only half of the 11,000 FBI employees stationed in Washington, D.C. and its dire conditions warrant security concerns. Years of efforts to persuade Congress and the government to back the project gained momentum under the Obama administration, though those efforts will be brought to a grinding halt with this decision. Officials from the General Services Administration, which manages federal real estate, had planned to trade the Hoover Building to a real estate developer while using $2 billion in taxpayer dollars to fund the remaining cost. The Obama administration had sought $1.4 billion for the project, but Congress left it underfunded by more than $800 million. With escalating costs and a lack of leadership following the dismissal of former director James B. Comey, interest in the project stalled, according to officials and executives involved in the process and reported by The Washington Post. For Krueck+Sexton Architects, determining the essential design character of the new FBI South Florida Headquarters was a no-brainer. Given the 375,000-square-foot building's location among 20 acres of restored wetlands, "Our quest, first of all, was to develop high performance in a transparent facade," said founding principal Mark P. Sexton, who will deliver a talk on the project at next month's Facades+ Miami conference. "If you're working in the Everglades, the idea of your workspace being as transparent as possible [is obvious]." But transparency comes with a couple of challenges, namely solar gain and glare. 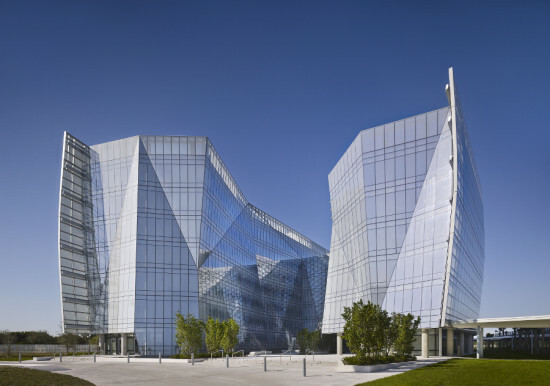 In order to preserve views while maintaining alignment with the Government Services Administration's 2030 Zero Environmental Footprint project goal, the architects relied primarily on two technologies: frit glass and integrated sunshades. Of course, building orientation was also key; Krueck+Sexton positioned the double-bar plan so that the major facades face south and north, the minor facades east and west. To tackle the potential for thermal gain associated with floor-to-ceiling glass, Krueck+Sexton started with a product with a low-e coating. Next, they added a graduated frit that is heavier at floor and ceiling but more open at the vision plane. But even with the frit, said Sexton, "there was still too much glare on the south side of the building compared to the north side. It's one of the issues of high performance. You can control solar heat gain with these coatings, but then the glare becomes the big problem." When one side of an office is flooded with natural sunlight, he explained, the occupants on the darker side tend to compensate with artificial lighting—thus negating the environmental benefits of all of that daylight. The architects also developed a system of sunscreens that cut back on both direct sun and glare on the south facade. "It became, in a way, eyebrows for the building," said Sexton. He compared the shades to a tuned airfoil on an airplane or high-end automobile: "The performance is enhanced by the additive nature" of the shade. The result is a dynamic envelope with sunshades appearing as geometric mesh interwoven among the intersecting planes of glass. 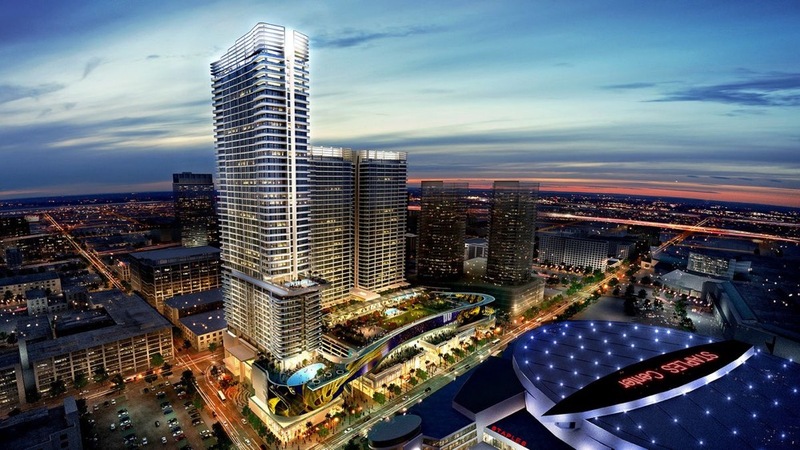 Hear more about the FBI South Florida Headquarters project September 10-11 at the Facades+ Miami conference. Register today and sign up for an exclusive Miami-area field trip on the conference website. Bringin' it back to the old school, to the days of 3D online meet-up spots and avatars, when chat rooms were actual digitally-modelled rooms, "Breaking Out and Breaking In" was a "distributed film fest," where users watched movies at home and came together in the comments section of BLDGBLOG to discuss the films. It was a blurring of the real and the digital. In partnership with Filmmaker magazine, the series focused on films which were either about bank heists (breaking in) or prison escapes (breaking out), positing them as "the use and misuse of space." Films were watched during a period of four months, and the festival culminated with a panel discussion at Columbia's GSAPP featuring two FBI agents alongside designers and critics. The panel was moderated by Studio-X director Geoff Manaugh, and consisted of Jimmy Stamp, writer and editor from Yale University, Matt Jones, designer and principal of Berg, Special Agent Brenda Cotton, bank robbery coordinator with the FBI, and Thomas McShane, a retired special agent from the FBI Art Crime Team. 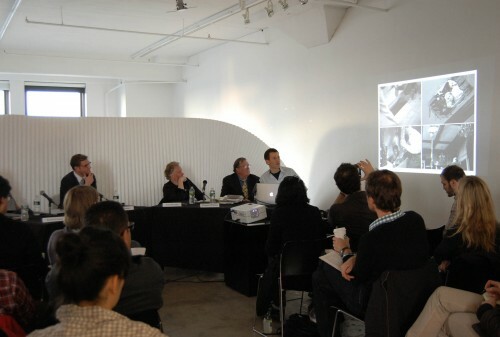 The discussion explored a variety of questions, including how criminals need to understand buildings differently from architects as they attempt to subvert them and what the alternate routes and spatial scenarios of crimes reveal about hidden architectures within buildings. Through a close analysis of classic heist movies and escape films, and with the help of the virtual pop-up space of the online comments, the film fest attempted to answer these questions. The panel zoomed out, looking at the practice of breaking in/out in general. Jimmy Stamp explained how in academia they took a very rational approach to analysis of crimino-spatial activity, but after a writer from Law and Order visited the school, they were taken aback at how emotional and real these stories were. "These were actual people being murdered," he said. While a student at Yale, Stamp co-organized a crime and architecture symposium called "Fugitive Geographies," but also worked as a bank designer in San Francisco, designing odd, maze-like structures, which to his surprise, clients often loved. Using check counters as barriers against robbery, sometimes counter-intuitive plans were favored. Stamp quipped, "As long as your bank is harder to rob than the one next door." Brenda Cotton, who had the most practical experience with bank heists made some interesting comparisons of Los Angeles to New York, having worked in both cities. Los Angeles has freeways and parking, which make it much easier to rob a bank there. In New York, there is less parking and more congestion with less access to freeways. Also, surveillance in New York is much better. When a bank is robbed, the first thing the FBI does is canvass for security footage. It can come from banks, nearby businesses, the subways, and the NYPD. McShane recounted stories of various NYC criminals who used nefarious architectural experiences to rob people. The Fly was especially athletic and would climb buildings, sneaking into windows and handing valuables down to friends waiting below. He also noted that museums are guarded by people making very little money, and are thus vulnerable to heists. Designer Matt Jones explained that crime is a series of designs and counter designs. Cameras were designed, then facepaint to obscure the camera's watching eye would be invented, so cameras that were immune to the facepaint would crop up. Scott MacCauley, editor-in-chief at Filmmaker, spoke of his time making films, where consideration must be made for realistic movies. For instance, you can't bounce around from neighborhood to neighborhood and maintain the spatial drama that is required for a heist movie. Overall, an entertaining night, which ventured outside the box (and into the tunnel) for architectural insight from a well-rounded panel.